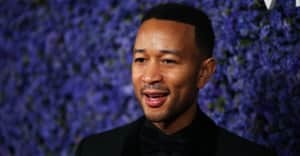 John Legend is back with new music, and the promise of a new album "coming soon." Legend took part in a Facebook Live event on Thursday night, October 6, in which he confirmed the first details of Darkness & Light and previewed the first single from the record. The studio version of "Love Me Now" can be streamed above. The Oscar-winner also clarified that his pro-Democrat political views won't make it into the music. “It’s not really preachy. I don’t like to preach too much in my songs. I preach on Twitter,” he said.